A colocation data center, often referred to as a ‘colo,’ is any large datacenter facility that rents out rack space to third parties for their servers or other network equipment. This is a very popular service that is used by businesses that may not have the resources needed to maintain their own data center, but still want to enjoy all the benefits. The term colocation refers to several aspects of this type of data center. First, the term references the fact that servers and other equipment from many different companies are ‘co-located’ in one data center. The hardware is usually owned by the company’s themselves, and simply housed (and sometimes maintained) by the data center staff. It also refers to the concept that a company can have their equipment located in multiple places. They may have servers, for example, in three or four different colocation data centers. This is important for companies that have large geographic footprints, and they want to make sure their computer systems are located near their physical offices. For companies, or even individuals, who want to use colocation data center services, there are many great benefits that they can enjoy. The following are some of the most significant to be aware of when deciding if this type of service is a good option. Lower Costs – When comparing the costs of a colocation data center with the option of building your own facility, it is an obvious choice. Unless your equipment requires a huge amount of room, the costs will be far lower when using a colocation option. Fewer Technical Staff – You don’t need to worry about things like running cables, managing power, installing equipment, or any number of other technical processes. In many cases, the colocation data center will even be able to replace components or perform other tasks as needed. This means you don’t need to have a large IT staff employed to handle this work. Exceptional Reliability – Colocation data centers are typically built with the highest specifications for redundancy. This includes backup power generators, excellent physical security, multiple network connections through multiple telcos, and much more. Geographic Location – You can choose the location of your data center so that it is near your users. Predictable Expenses – The costs associated with a colocation data center will be very predictable. You can typically sign contracts that last one or more years, so you know exactly how to budget your IT needs. Easy Scalability – When your business is growing, you can quickly have new servers or other equipment added to the facility. When you have your equipment in a small local data center or server closet, it can be much more difficult to expand. When researching colocation data center options, you’ll need to make sure you understand the difference between a full colocation data center, and a colocation server rack. The terms are sometimes used interchangeably, but properly speaking, a colocation data center is when a data center company rents out the entire facility to another company. A colocation rack, on the other hand, is when they rent out rack space within a data center to multiple companies. The distinction is sometimes referred to as ‘wholesale colocation’ for the renting of an entire data center, and ‘retail colocation’ for just renting out a set amount of rack space within a data center. Most companies will be looking for colocation server racks, so they can have access to the amount of space they need, at a fair price. 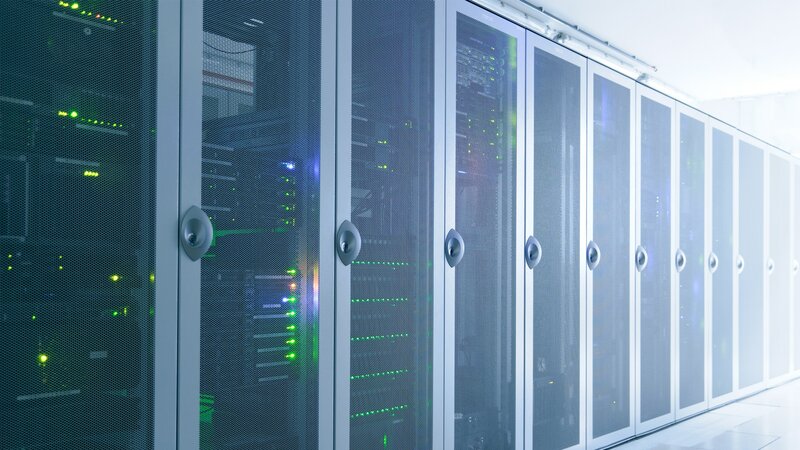 Many retail colocation data centers will allow you to rent out entire racks (which can then be locked in many cases, for additional security) or even just individual spaces within a rack. Whatever the data center needs your company has, colocation data center solutions are likely the ideal option. a colocation data center, often referred to as a ‘colo,’ is any data center that rents out rack space to third parties for their servers or other equipment.